Exactly two years before initiation of coverage under the Affordable Care Act (ACA), in this column (GEN, January 1, 2012), I proposed an alternative plan to provide health insurance and reduce the number of uninsured to the same extent as then projected under the ACA (by 34 million). A far simpler plan than that constructed under the ACA, it would allow people to purchase individual insurance policies across state lines without the requirement in effect since 1945, that health insurers have to be licensed in each state in which they sell insurance. There is a wide variation of pricing of individual policies from one state to the next due to the many different state-tailored requirements imposed on health insurers. Enabling nationwide competition regarding purchase of health insurance policies would significantly reduce both the costs of the policies and the number of the uninsured. In addition, the federal government would provide income-adjusted rebates, such that health insurance would be affordable to almost all those not covered under Medicaid or Medicare. My proposed alternative was estimated to cost $780 billion over a 10-year period, 46% lower than the corresponding $1.455 trillion projected then by the Congressional Budget Office (CBO) for implementation of the ACA. In 2013, the CBO raised its projection to $1.8 trillion, but the full costs of implementing the ACA may be even greater due to what is known as a risk corridor program. This program was established to provide public funds to insurers who unexpectedly suffer financial losses as a result of participating in the government-mandated health insurance exchanges. As is well known by now, the ACA rollout was beset by enormous technological malfunctions, which exacerbated a pitfall for many Americans—cancellation of individual policies not meeting government standards. In summary, the complexities, inefficiencies, and huge expense of ACA are undoubtedly the result of trying to tie together two mutually incompatible forces—top-down government control of the marketplace and the free market. There is, however, a much simpler alternative to expanding the healthcare insurance marketplace, whereby the government plays the major role and the private sector participates without undue government interference. It is based on the Medicare model. Medicare Part A covers hospital care and skilled nursing facility care. Part B covers medically necessary and preventive services. Part D covers prescription drugs. For most persons 65 and older, Part A is premium-free, but others in that age bracket can purchase it. For example, in 2013, single individuals, 65 and older, who had paid Medicare taxes for less than 30 calendar quarters while working, could obtain Part A coverage by paying monthly premiums of $441.00. Unlike Part A, Part B must always be purchased (and only by those covered by Part A). In 2013, its minimum monthly cost was $104.90. However, based on the insured’s income, a maximum surcharge of $230.80 could be added. For Part D (also available only to those covered by Part A), the minimum monthly premium was $41.40, with a maximum surcharge of $66.60. The private sector participates in the 65+ marketplace by offering Medicare Supplement (Medigap) Policies and Medicare Advantage (Part C) Plans. Medigap policies cover deductibles, copayments, and coinsurance. They typically cost under $200.00 per month. Part C plans are offered by companies that contract with Medicare to provide Part A and Part B benefits. Such plans include health maintenance organizations and preferred provider organizations. Why not allow all those under the age of 65 to purchase Medicare and Medigap policies? Many individuals covered by the combination of Medicare Parts A, B, and D plus Medigap incur hardly any additional medical expenses. In 2013, for individuals with premium-free Medicare Part A, their combined annual premiums generally ranged from around $4,000 to $8,000, based upon income and the cost of Medigap. For those individuals paying for Part A, as explained above, their combined annual premiums generally ranged from around $9,000 to $13,000. With respect to ACA plans, a typical “silver” plan costing $11,000 to $12,000 per family of four will be partially subsidized by the federal government by providing income-based tax credits in advance. For example, a family of four with income in the low $30,000 range might receive $10,000 to $11,000 in tax credits, versus $2,000 to $3,000 of tax credits for income of around $90,000. In addition, the government will subsidize out-of-pocket medical expenses, paying as much as 94% of the costs or an estimated $5,000 for a family of four with income in the low $30,000 range. If such a family were covered by Medicare Parts A, B, and D and Medigap, the total maximum premiums would be around $52,000, before adjusting for age. Given the much lower ages of a family of four, as compared to typical Medicare beneficiaries, the premiums might be reduced by around two-thirds, thereby totaling $17,000. In most cases this coverage would eliminate all out-of-pocket medical expenses, so the cost would be similar to the $16,000 to $17,000 spent for an ACA silver plan plus typical out-of-pocket medical expenses. Families covered by Medicare and Medigap would receive income-based tax credits such as the ACA subsidies. Replacing the ACA with Medicare and Medigap would greatly simplify the process for obtaining healthcare insurance, would significantly lower administrative costs incurred by the government, and would likely reduce the number of uninsured considerably more than projected for the ACA. 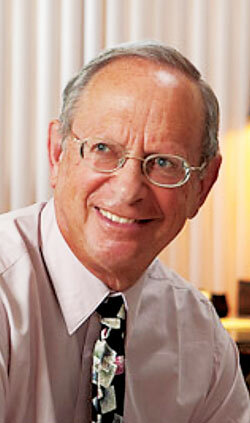 J. Leslie Glick, Ph.D. (jlglick@ix.netcom.com), is an independent corporate management advisor.